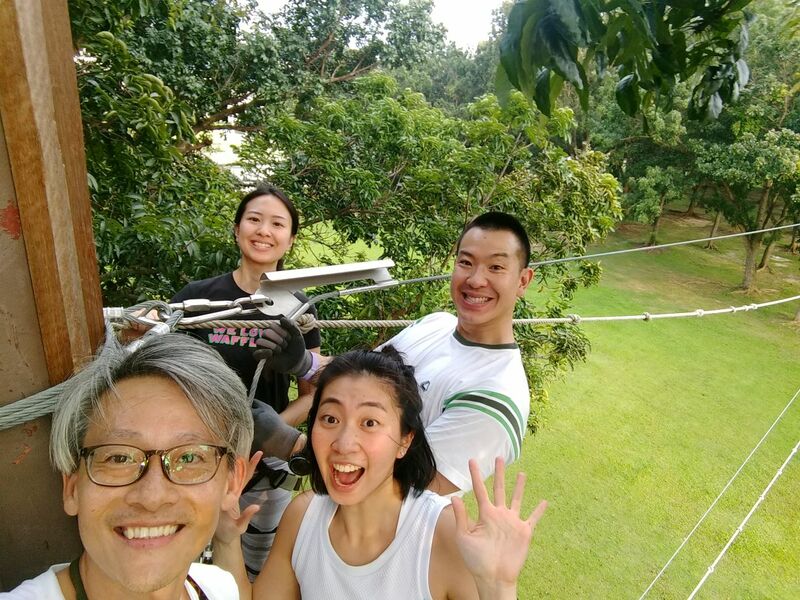 Singapore’s first obstacle rope course provides swinging good fun for both young and old. 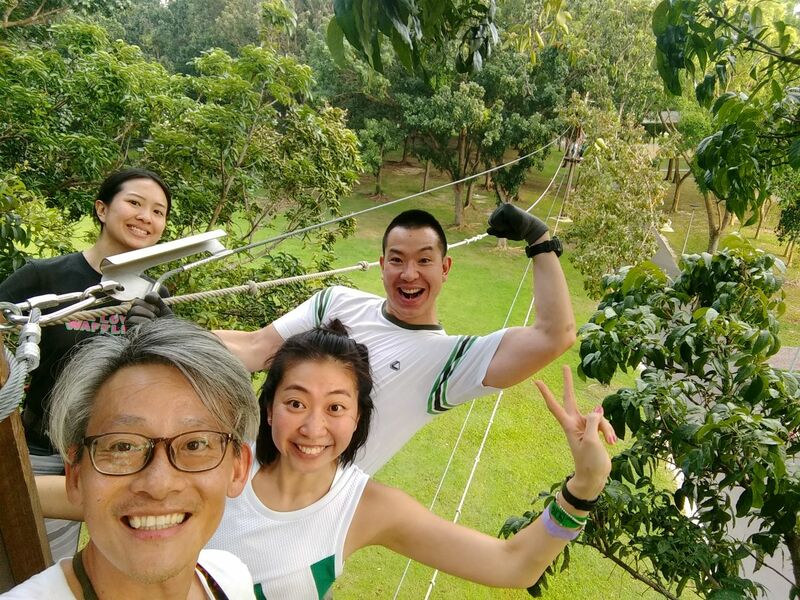 Located in Bedok Reservoir Park, Forest Adventure Treetop Course is a fun-filled outdoor experience for the family. With a 69 obstacle rope course, 6 zip lines, and a 14m tarzan free fall, it takes about 2.5 hours for four adults to complete The Grand Course. 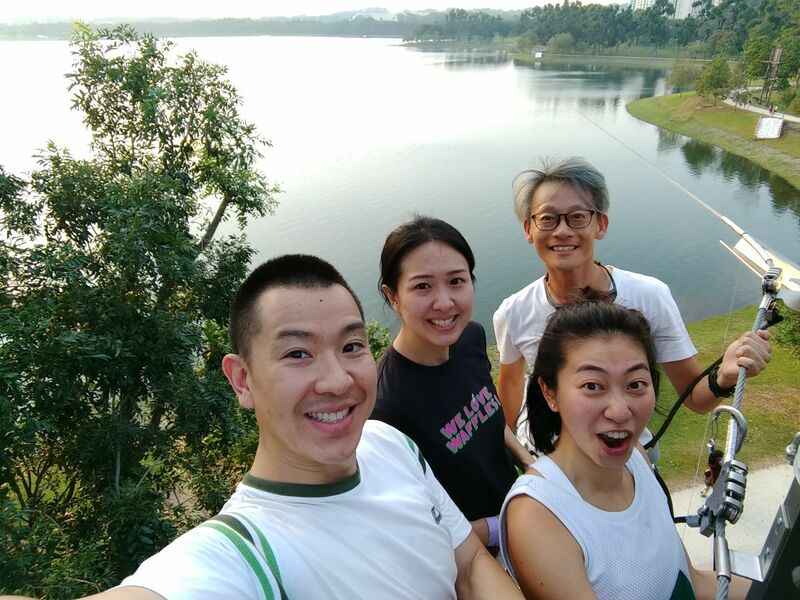 Built at 6.3m to 9.3m above ground, the Grand Course also includes a 300m long zipline over the reservoir, which starts at 14m above ground. All the courses are achievable physical challenges, which everyone can complete. However, a lot of mental strength is involved. The key is to focus, simply by putting one foot in front of the other. Even if an annoying brother-in-law deliberately adds more swaying action to the suspended course, stay calm and carry on. As a participant who is afraid of heights, I took comfort in knowing that I was in good hands. With all the top-of-the-line safety features, I could take my own time to navigate, albeit some pressure from my daring family members. 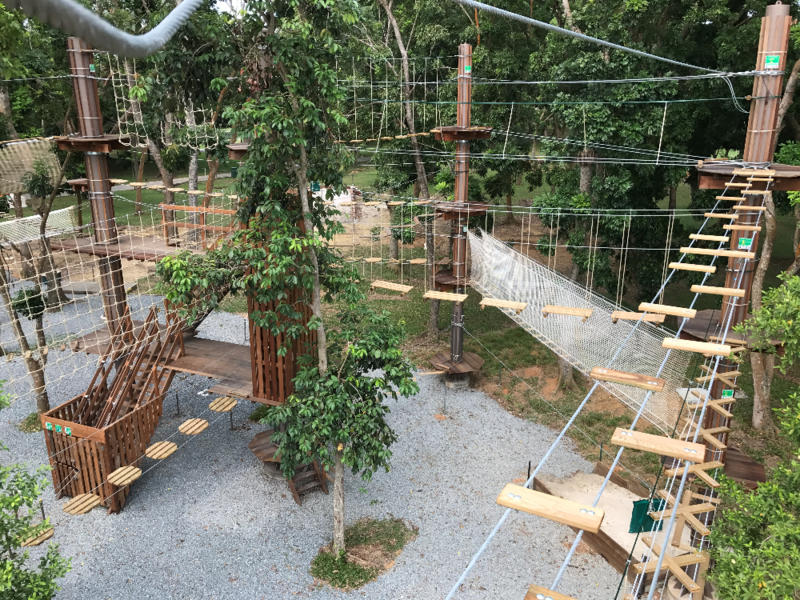 Following a successful 10 year operation with over 350,000 visitors, Forest Adventure, Singapore’s first and only tree top obstacle, went through an overhaul and unveiled new designs, including a Tarzan Swing. This is a leap of faith that starts 9.6 metres above ground. It is quite an exciting obstacle that provides a feel good rush to anyone who dares to try it. Firstly, participants go through a safety briefing by friendly staff who have a true love for the outdoors. Stepping onto the wobbly platform, your fate is in your own hands. After attaching the safety cable of the Tarzan Swing to your harness, you leap off and swing down to catch onto a net that’s placed 15 m across. With lots of heart-pumping action, this is actually not a physically demanding challenge. Nevertheless, it take a lot of guts to free fall. Just remember not to chicken out! If you don’t want to get burnt by the afternoon sun or risk getting stranded when the sun sets for the day, the best time to do this activity is about 4pm. We also recommend booking online for logistics reasons. In addition, it is important to listen to the instructors, who deliver the safety briefing in a clear and understandable manner. They also identify participants who do require help, providing the necessary guidance and support to complete the course when needed. 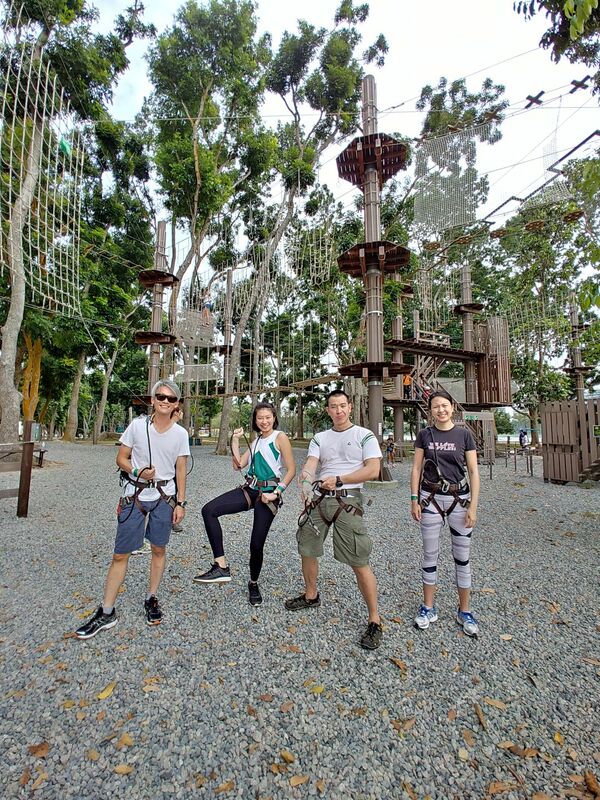 With limited outdoor activities in Singapore, Forest Adventure is an exciting experience for the family. We were happy to leave with smiling faces, and lasting memories for the years to come.